The Bainbridge Museum of Art (BIMA) will be hosting its annual BIMA Bash fundraising event on June 8th with music, refreshments and a silent auction, followed the next day by a dinner with a live auction. I have donated a quilt which will be auctioned to help support this top-notch museum right here on Bainbridge Island. My quilt, Ferntastic Star, was made for a Kitsap Quilters’ Guild challenge several years ago. The challenge was to use the floral fabric and make any “star” quilt. I printed the ferns using fabric paints and ferns from my yard. 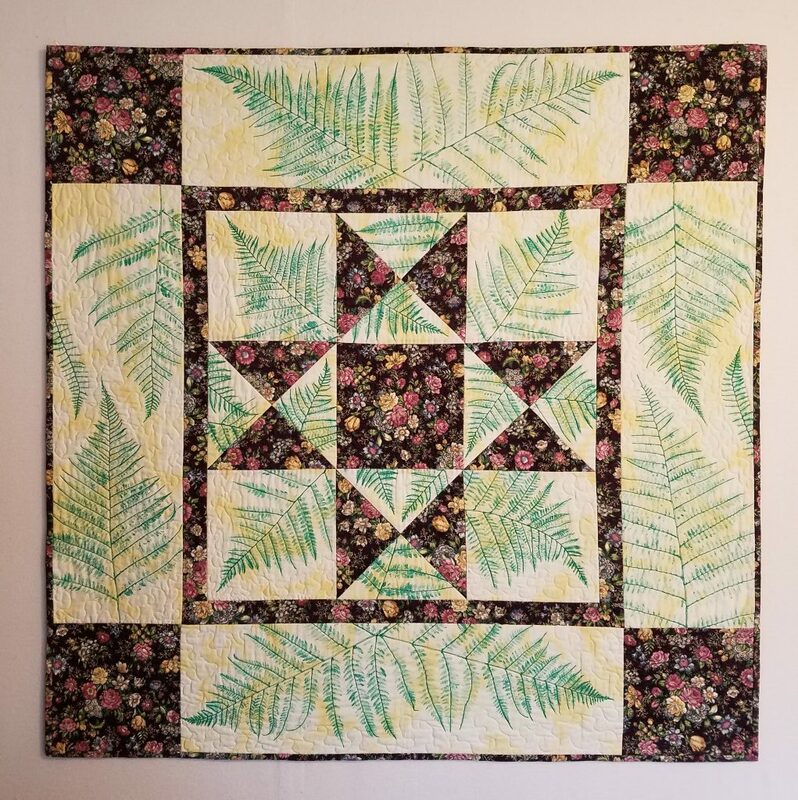 I machine quilted it to accentuate the ferns and flowers on the floral fabric. Size is approximately 45 x 45″. This entry was posted in Arts and tagged Quilt by Maggie Ball. Bookmark the permalink.